Published September 26, 2013 - size: 603 × 414 in Adventures! I’m a 5th Generation Floridian. My mother was born and raised in a VERY small Florida town named Micanopy, right outside of Gainesville. 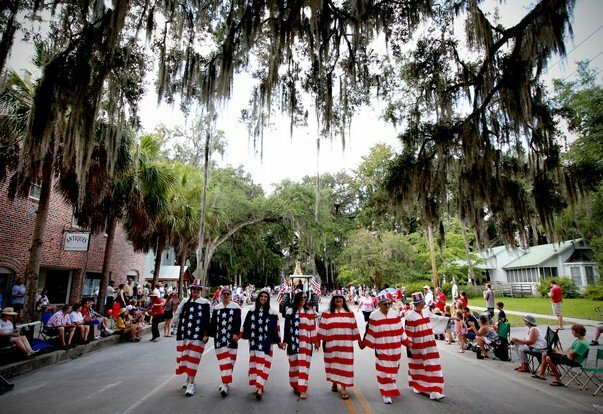 Every year my mother, two aunts, Grandmother and cousin march in the Forth of July parade as a human flag.